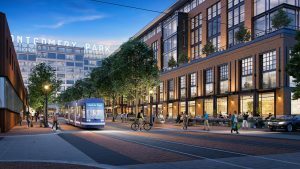 A Federal Transit Administration grant will help a Pacific Northwest city study expansion of its streetcar network. 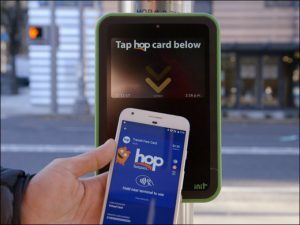 Portland’s TriMet and Google will begin beta testing of the Hop Fastpass™ as the first virtual transit card available in Android Pay starting in early 2018. 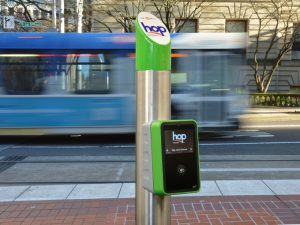 Working with TriMet, C-TRAN and Portland Streetcar, INIT has initiated the final, open-payments component of the Hop Fastpass™ e-fare system within the Portland-Vancouver Metropolitan Area. 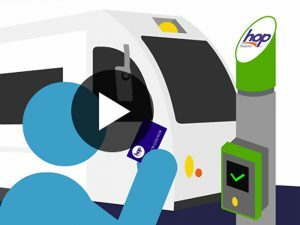 Passengers on six transit services in the Portland-Vancouver Metropolitan Area on July 17 began using Hop Fastpass™, a regional open-payments electronic fare collection (e-fare ) system implemented by INIT Innovations in Transportation, Inc., Chesapeake, Va.